It's hard to believe we're already halfway through the year. Time is just flying by here at Belvedere Designs. And of course, another month means another customer photo winner. 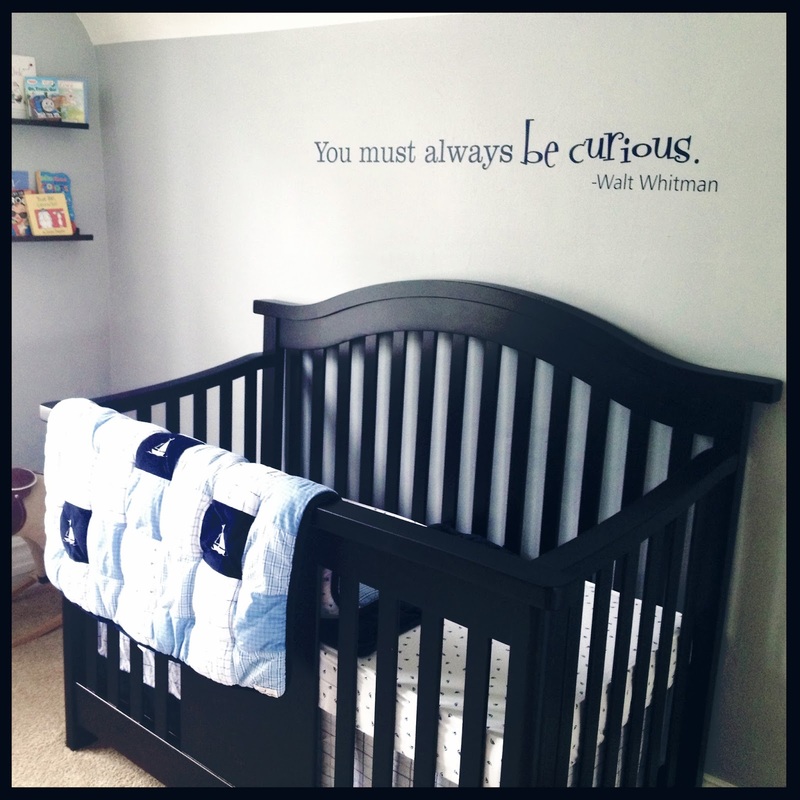 The winner this month is Derrick who submitted this photo of his sweet nursery. I just love seeing this quote in nurseries. It adds a great touch - and a great reminder for all of us to be a little more willing to channel our inner child. Congratulations again Derrick! Thanks so much for sharing. If you want your nursery to be just as cute, click here for the vinyl decal, or here to view other nursery designs.